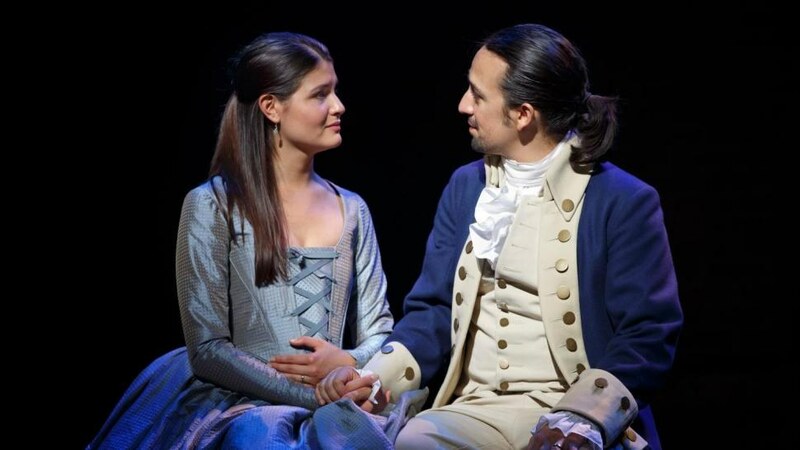 Phillipa Soo and Lin-Manuel Miranda in Hamilton. Photo by Joan Marcus. Can it get any better for Hamilton creator Lin-Manuel Miranda? The success Miranda has seen in the past year is borderline unfathomable. Sure, Hamilton is set for a long run on Broadway. But so are a few other shows (The Lion King or The Book of Mormon anyone?). Still, most of those hits are crowd pleasers. Hamilton is different. To the world, Miranda is now a total genius, both intellectually and artistically, while somehow projecting an incredibly relaxed and down-to-earth sense of self. All these things combined make him a great guy to cheer on. I mean, how can you not root for a guy like Miranda, who spends the free time he doesn't have doing Q&As with high school kids in the Bronx? Hamilton won a Grammy for best musical theater album, the Edward M. Kennedy Prize for Drama, and earned Manuel a MacArthur Award. The album went Gold, despite its living in a streaming-obsessed world. (And yes, it's on Spotify and Amazon Prime.) These are just the winnings that make the short list. This week, Miranda added the Pulitzer. And days later, a spot on the TIME 100 List of Most Influential People. Not only has this made him one of the biggest theater people of his time, it has also made him a very, very rich man. Hamilton is everywhere because what's not to love? It's turned musical theater into a cultural phenomenon that everyone can get behind. It mixes the highbrow with the accessible—a sort of smart that feels aspirational, yet never exclusive. And its talented, attractive, culturally-inclusive cast doesn't hurt. Hamilton chatter is everywhere you turn, and some of our ears are starting to tire. But that's probably only because we haven't been able to get tickets yet.